Hi. Your question was cut off for some reason, but I assume you're asking what the purple flowering plant is? It's called astilbe. It's a great choice for moist shade to part sun and blooms in late spring. The leaves are attractive as well, but it is deciduous. Charlotte, North Carolina Upper garden, street side, late afternoon. 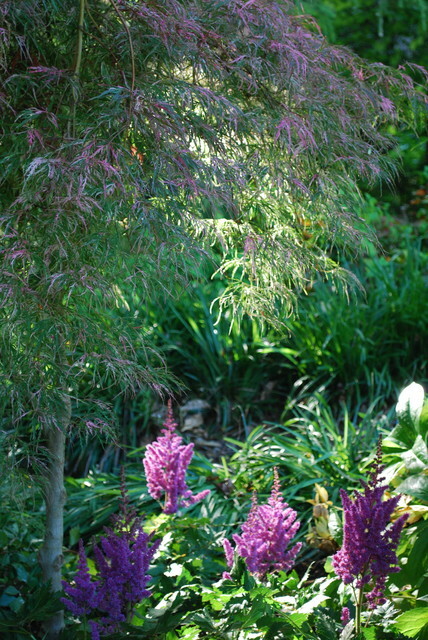 Hana Matoi japanese maple with astilbe 'Visions'.